Hi friends! 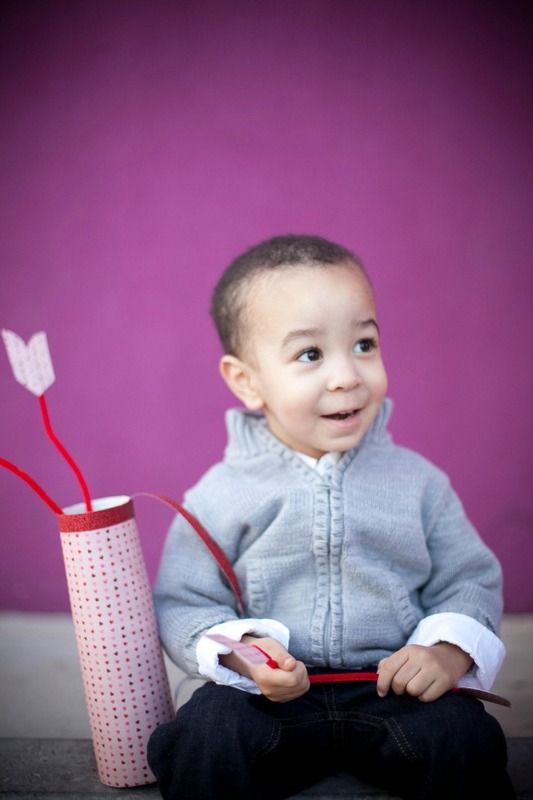 We’re back today with ANOTHER adorable Valentine’s Day project with Martha Stewart Crafts! 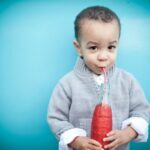 If you follow me on Instagram, you may have seen that I headed downtown last weekend for a little Valentine’s photo shoot with my favorite Phoenix photographer – Stacey of Dream Photography Studio. 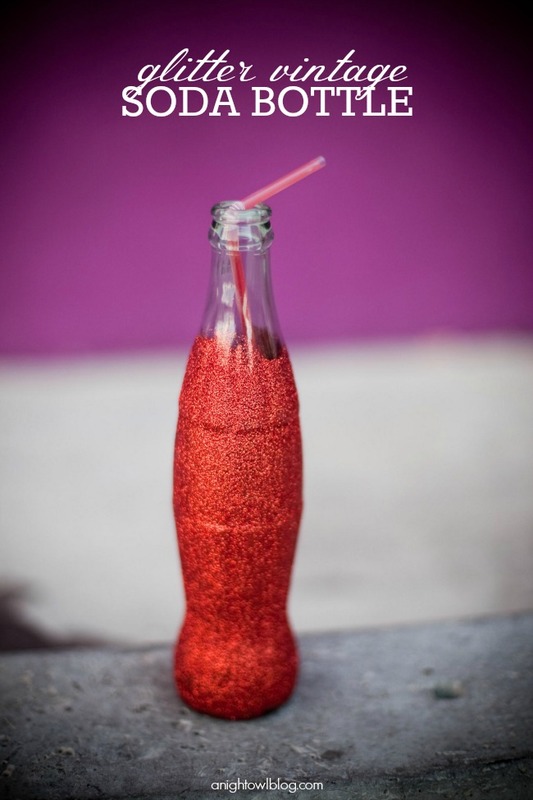 So far we’ve shared with you: Glitter Vintage Soda Bottles and Chalkboard Conversation Hearts! 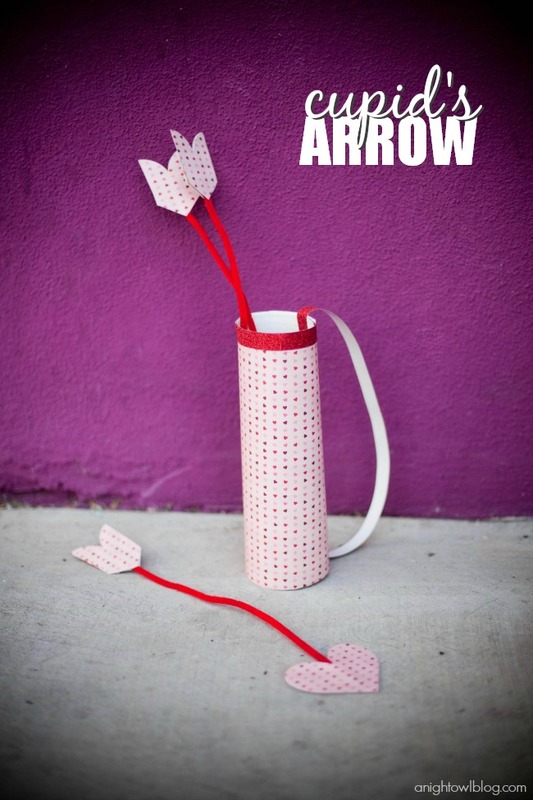 And today I’m sharing another fun and EASY Valentine’s Day craft: Cupid’s Arrows and Quiver! 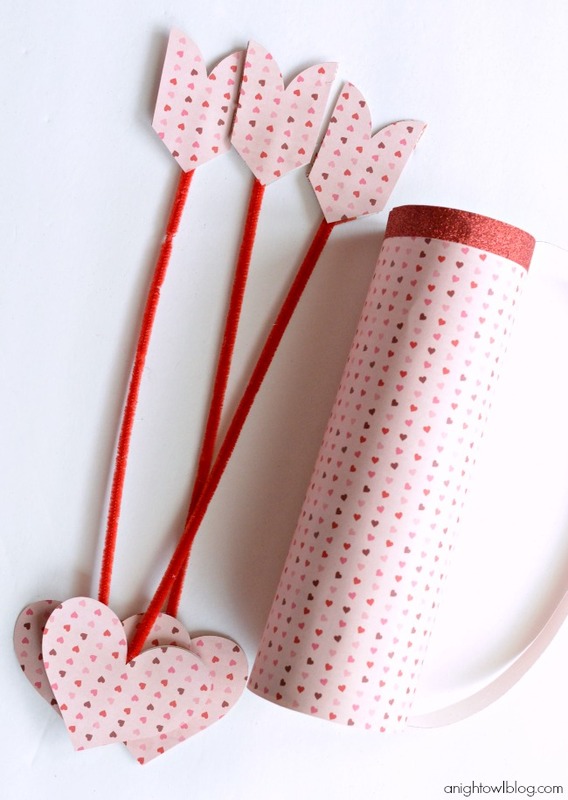 Arrows are all the rage, so I figured we’d sweeten them up with some hearts for Valentine’s Day! Cut heart shapes out of MS Paper Pad. 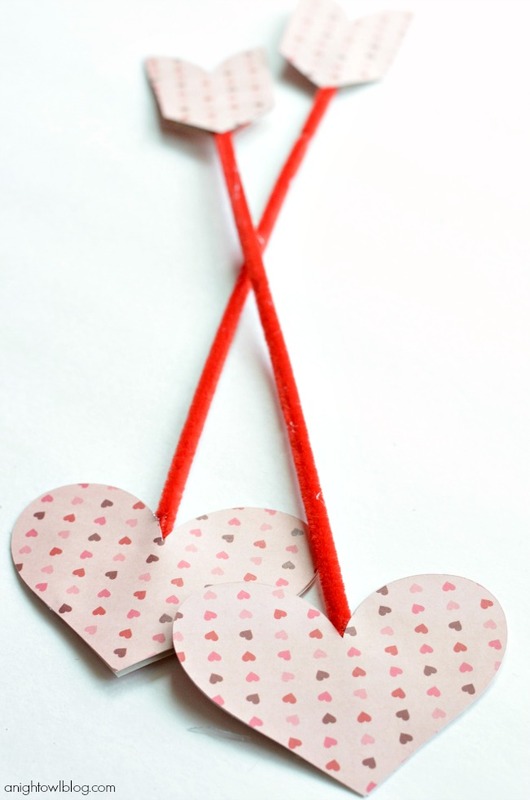 Glue two hearts to the top of a pipe cleaner. 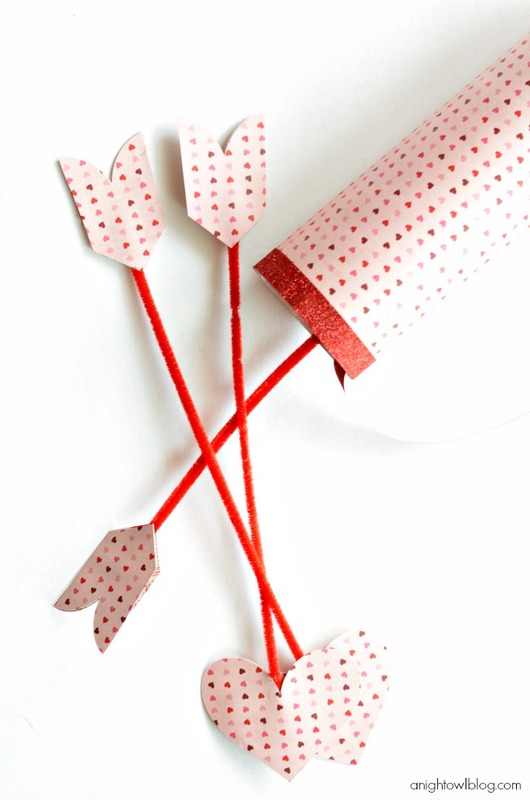 Cut the edges off of two hearts to create the “feathered” end of the arrow. Glue the ends to the other side of the pipe cleaner. Glue a sheet of MS Paper around the can coozie. 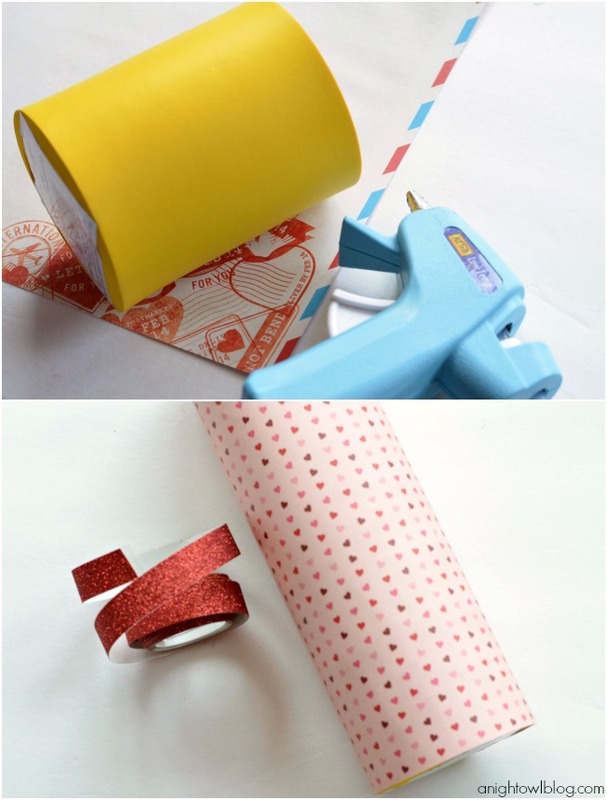 Line the edges of the tube with decorative tape. So what do you think? So easy, but CUTE right? And they’re great for just about anything. 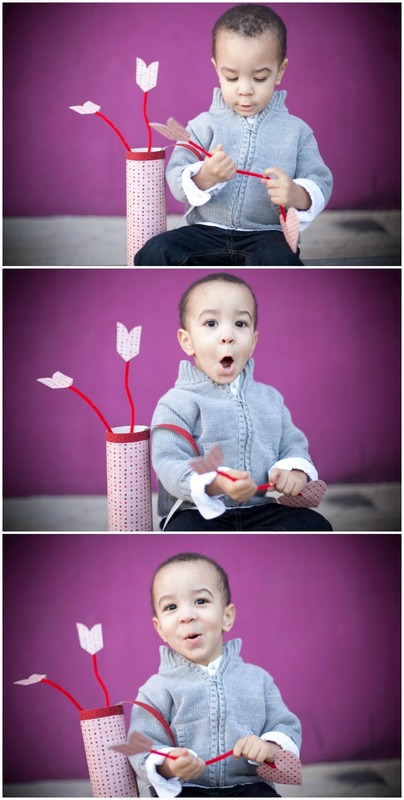 You could make them with your kids for a fun Valentine’s Day craft. 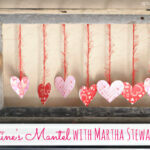 You could craft some heart arrows and incorporate them into your decor like I did last year for our Valentine’s Mantel! 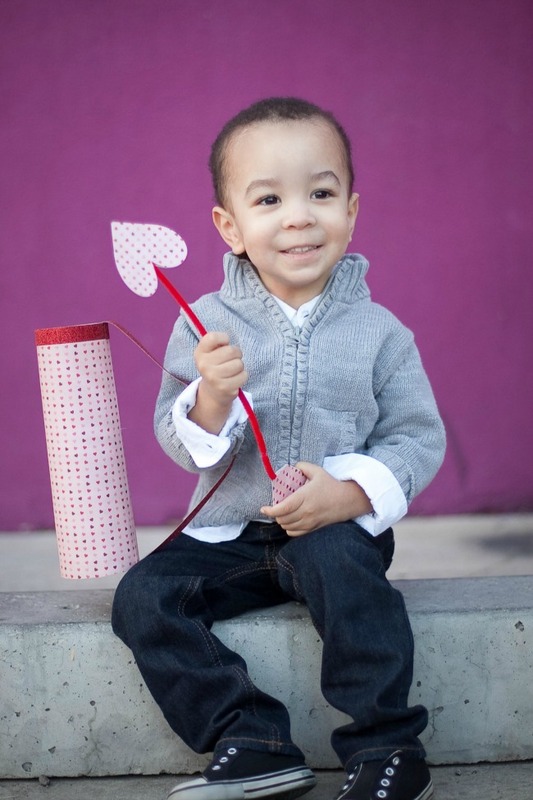 OR you could head out for a Valentine’s Day shoot like we did…oh this cutie! So now it’s YOUR TURN to pick up your favorite MS Crafts supplies and start on your Valentine’s decor! I’d love to see what YOU create! All of this is adorable. 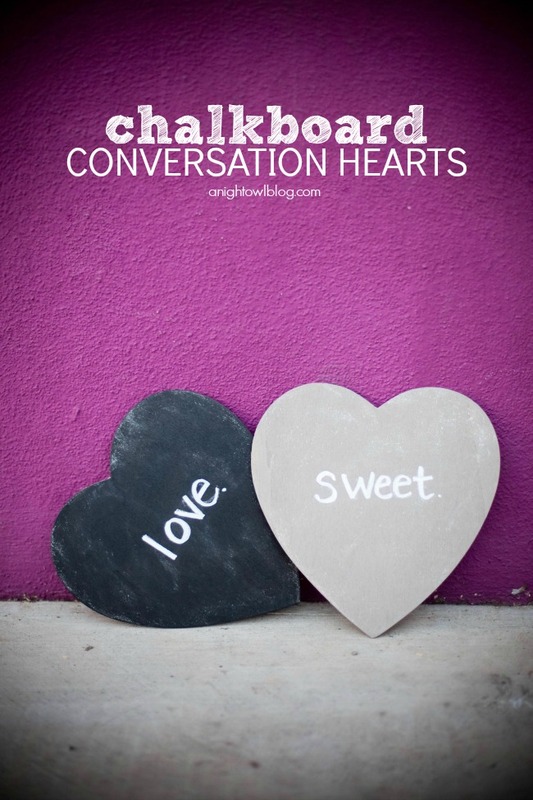 I love the idea of chalkboard hearts to leave messages for your sweetheart. 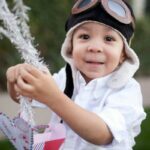 Such sweet ideas and your little guy’s expressions are priceless!! 🙂 So cute!